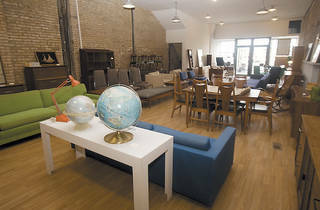 Cintia Kruschke finds great vintage furniture, refinishes it and sells it all at her Logan Square shop, Reform Objects. 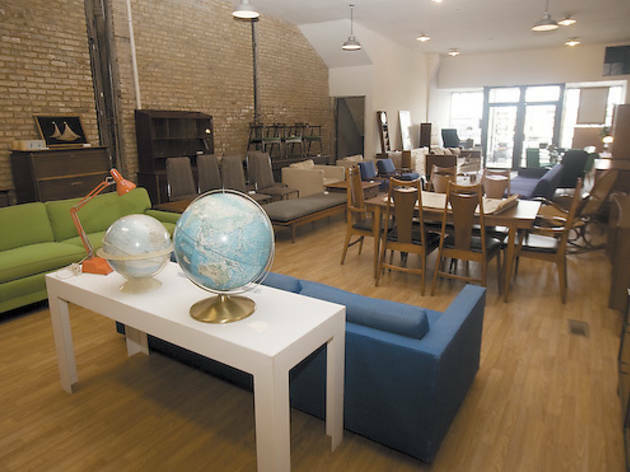 THE TRANSFORMER A few days before Cintia Kruschke opened her Logan Square vintage furniture shop, a friend asked her which part of her process she likes most: the hunting, the refinishing or the selling. “My heart beats a little faster every time I find something amazing,” she says. “But I love working with my hands and really enjoy the quiet moments I get when refinishing a piece, and I also love the selling part because of the interaction with people.” In other words, it’s a good thing she now has this showroom/store where she can partake in all three aspects. The furniture here is predominantly midcentury, and current standouts include a curved vintage velvet sofa ($600), a slightly square coffee table by Lane ($300) and a sectional Kruschke reupholstered in a deep violet-meets-blue fabric ($1,200). 2620 N Milwaukee Ave (312-350-5604, reformobjects.blogspot.com).